CaseWare’s clients range from some of the world’s largest banks and oil companies to care homes and independent schools. Whatever their size, they are being affected by the major changes to the Financial Reporting Standards taking effect this year. 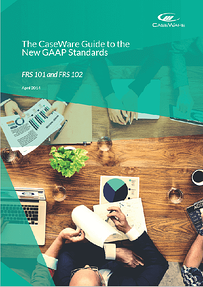 This guide aims to provide UK and Irish accountants in practice and business a practical outline of the requirements for FRS 101 and FRS 102, as well as some recommendations to help ensure their operations are compliant by the 2015 deadline. - What is FRS 101 & FRS 102?